Audited accounts for the International Airport Development Company (IADC), from the year ending December 2013 to December 2016, will soon be logged at the Commercial and Intellectual Property Office (CIPO). 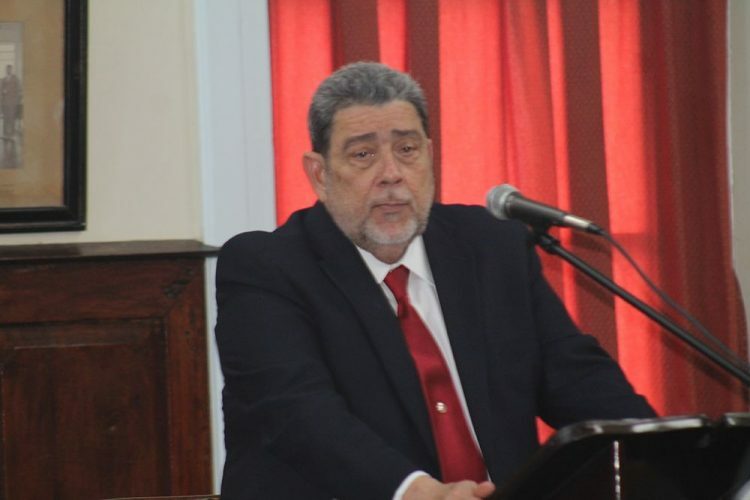 So said Prime Minister Dr Ralph Gonsalves, while responding to a question by Leader of the Opposition Dr Godwin Friday during the sitting of the House of Parliament on Tuesday. âThey (audited accounts from the period 2005-2013) are here, not only are they here, they were here at CIPO, as required under the Companies Act, before 2015 December general elections, as required by law,â Gonsalves said. âAnd they (the audited accounts from the 2013-2016) will be completed, I am told, before the end July 2017,â the Prime Minister stated. Over the last few weeks, the Opposition has been calling for accountability by the Government in relation to the IADC. Gonsalves said the question being asked by the Opposition Leader is part of the process of accountability of the IADC, through the Minister of Finance to the Parliament. The Prime Minister stated that there are different levels and regimes of accountability for State owned companies registered under the Companies Act. âThe first regime of accountability is inside of the company itself. Both in relation to the modern requisites of accountability for a company, but also because the requirements of the Companies Act as to which accounts are to be kept, how accounts are to be kept,â Gonsalves explained. He noted that the second regime of accountability is through an independent auditor. The Prime Minister explained that after the account has been signed off by the necessary persons, the company has to submit it to CIPO, where it should be available to both citizens and non-citizens. âMr Speaker, this internal accounting procedure, linked to that of an examination by an independent auditor, they are at the foundation of accountability,â he stated. He said the auditing firm conducts the evaluation of the financial affairs of the IADC without limitations, as required by international operating standards. Gonsalves stated that when the audit is made in St Vincent and the Grenadines, the international headquarters of the auditing firm would make spot checks of the local branchâs auditing standards and the application of the international auditing standards. The Prime Minister reiterated that there is no law which says that the financial statements of government companies are to be laid in Parliament. Gonsalves stated that his government prides itself on accountability, which is why he piloted the Finance Administration Act 2014. Additionally, he said in 2005, he piloted a Modern Director of Audit Act, which extended the powers of the director of Audit.